Slate staff writer Ruth Graham doesn’t want anyone to “spend” their “emotional energy” on the late former President George H.W. 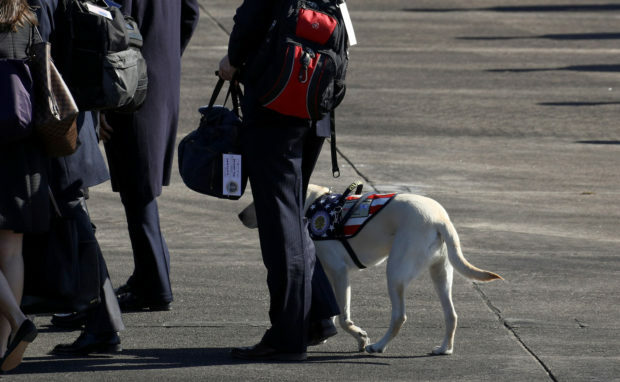 Bush’s service dog, Sully, and she wrote an entire article stating just that. Graham began her piece by comparing Sully to his human namesake, the pilot – Chesley “Sully” Sullenberger – who famously landed his troubled airplane in the Hudson River in 2009. After detailing the various ways Sully became a media sensation over the past 24 hours, the Slate writer excused “sentimentality” on the part of pet owners … apparently except for those – like Sully – who weren’t with their masters long enough to suit her fancy. Because, you know, some dogs eat dead people. It’s wonderful for Bush that he had a trained service animal like Sully available to him in his last months. It’s a good thing that the dog is moving on to another gig where he can be helpful to other people (rather than becoming another Bush family pet). But it’s a bit demented to project soul-wrenching grief onto a dog’s decision to lay down in front of a casket. Is Sully “heroic” for learning to obey the human beings who taught him to perform certain tasks? Does the photo say anything special about this dog’s particular loyalty or judgment, or is he just … there? Also, if dogs are subject to praise for obeying their masters, what do we do about the pets who eat their owners’ dead (or even just passed-out) bodies? Slate subsequently took a beating on Twitter. I’m glad she’s around to get us plebs know that Sully isn’t 658 in dog years.